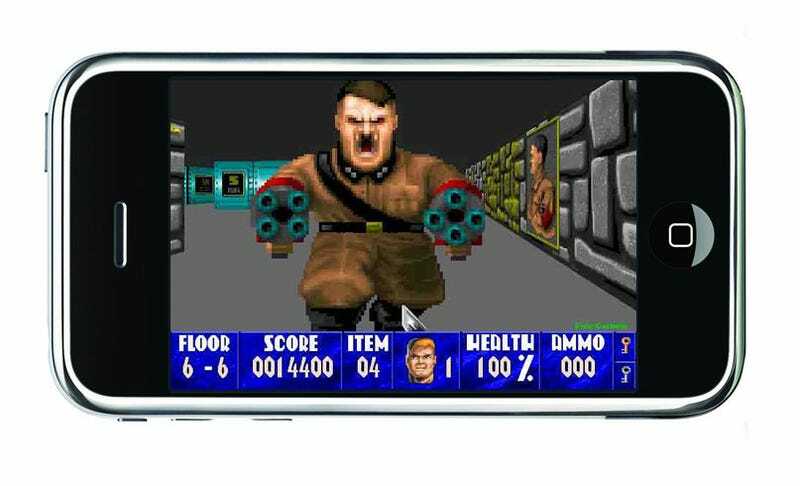 You can now get Wolfenstein on the iPhone. Not the Wolfenstein RPG, not a cheap Wolfenstein knock-off, the real deal, programmed and ported over by id's own John Carmack. And best of all, it's free. Yes, seeing as he worked on it as a pet project, Carmack has decided to release the game as a free, open source project. While a few tweaks have been made to the game, mainly in the way things like your health and ammo are displayed, it's largely the same Wolfenstein 3D that id released in 1992. You can download the game here (you'll need to jailbreak your phone first), and if you like what you download, Carmack says a similar port of Doom is in production. UPDATE - Aaaannnddd....the "free" version is gone! Just like that. Why? Because it's on its way to the App Store. Should be there in a day or two, and when it is, it'll cost $5. You can read our impressions, as well as the game's first screenshot, right here.